Auckland and Christchurch based Visa Global Logistics have injected a whole lot of MANpower into their fleet, with the horsepower to back it up. The company purchased 3 brand new MAN TGS 6×4 units earlier in August and had them all equipped with ‘Swinglift’ by Patchell. The trucks all fall in the 26,000gvm category, able to comfortably carry full containers and can easily transfer them utilizing the swinglift. Under the hood, the trucks pack MAN’s own D2676LF07. The engine has 480hp with a euro5 SCR rating and is capable of producing 2300nm of torque. For a long time, VISA Global Logistics has used sub-contractors in New Zealand but has just recently decided to run its own operation here. This has led to the creation of four new jobs, three drivers have been hired for the Auckland area, along with one for Christchurch. 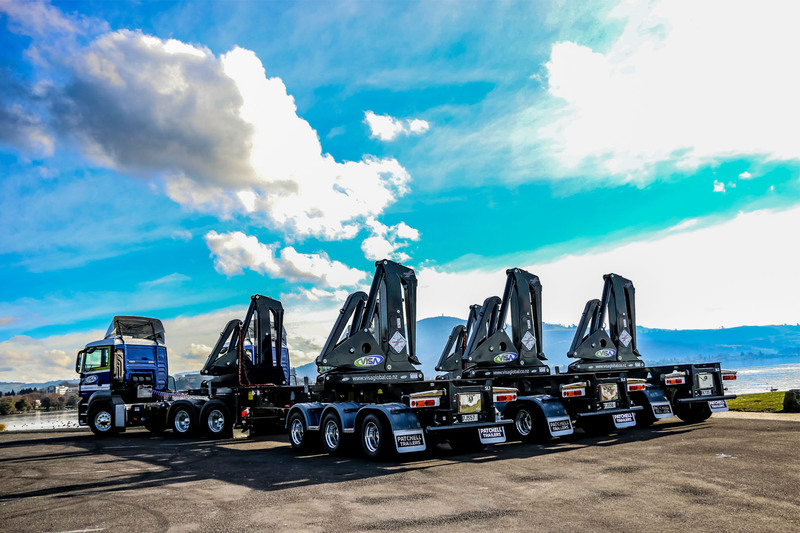 The company is also aiming to continue its New Zealand growth, employing one or two new drivers each year, along with the construction of more trucks for them to drive.